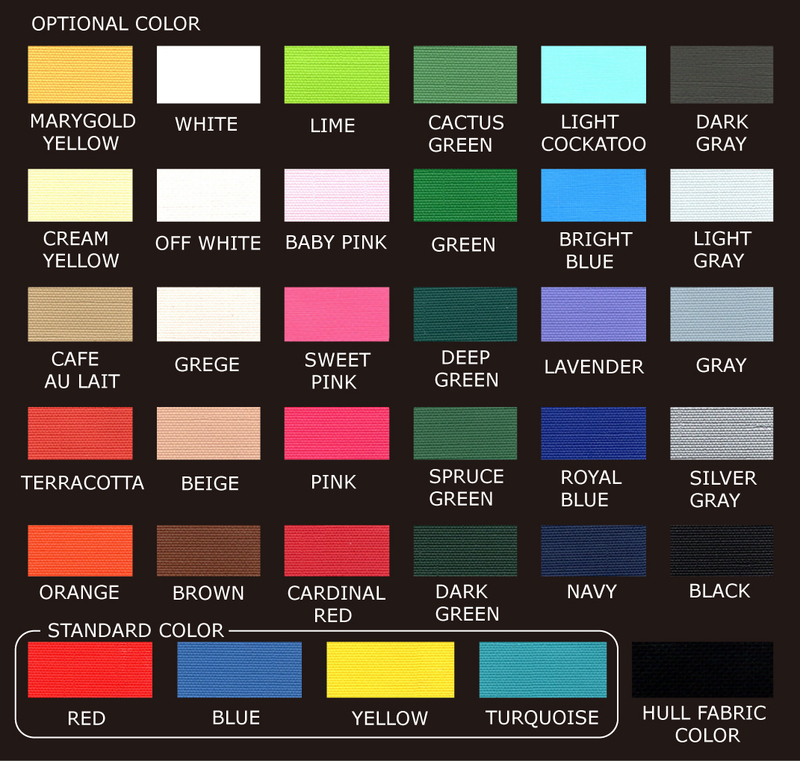 All-round single kayak for river and coastal touring. A well balanced sea kayak of speed,stability and maneuverability, for coastal touring and island hopping. 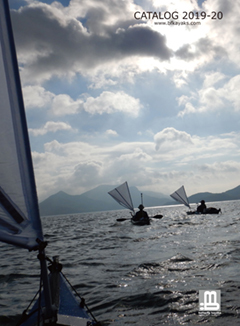 The fast sea kayak with sharp bow,long and efficient hull lines for long distance touring. 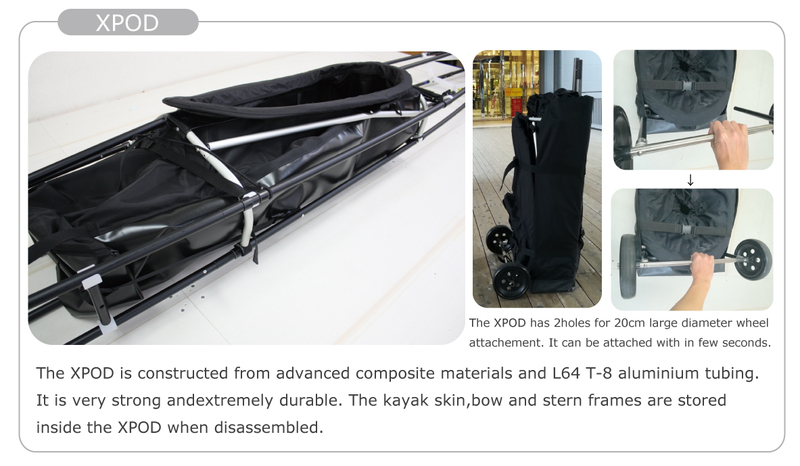 Two different type of assembling system,XPOD and LITE are available for each solo-kayak model. 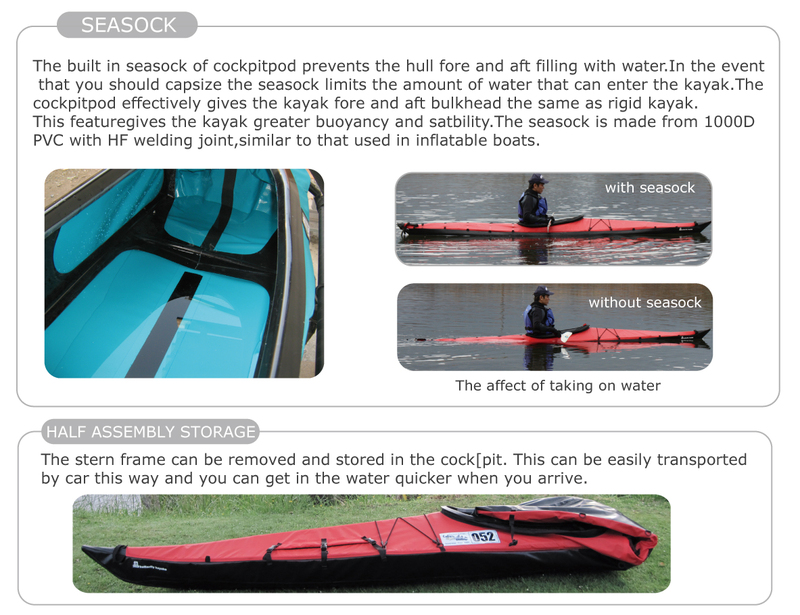 XPOD series has unique construction with built in seasock which can store the kayak skin and frames inside that can reduce additional storage bag and make it easier and safer. The number of pre assembled frame parts are 4-6. 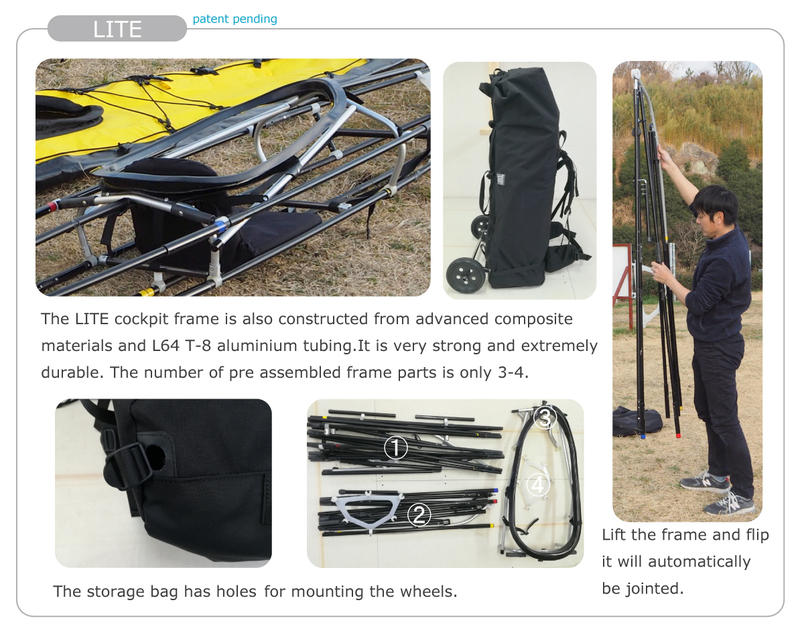 LITE series are very simple and light weight.You can pack all the assemblles in a backpack compactly.The number of pre assembled frame parts are 3-4. 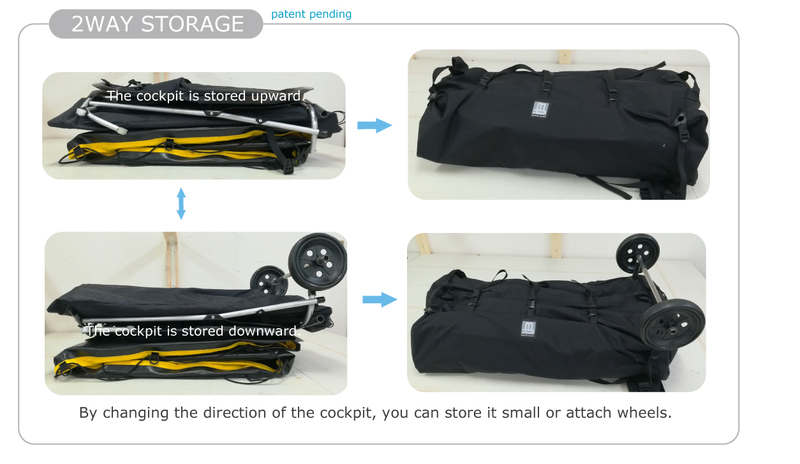 For easy transportation,20cm large diameter wheels can be attached onto the pack of both assembling systems.